A partnership between Andrew Siegal, a Napa Valley entrepreneur and owner of Liquid Trade Solutions, and Patrick McNeil, a national sales consultant and wine distributor. 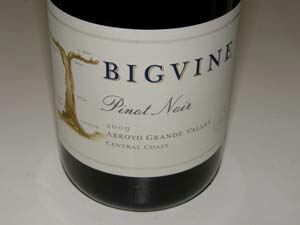 Wines offered include an Arroyo Grande Pinot Noir (85% Arroyo Grande, 15% Sta. Rita Hills), value priced and produced in moderately large quantity (2,300 cases). The wine is sold on the website.